Icy type with a nice cheesy play on words. 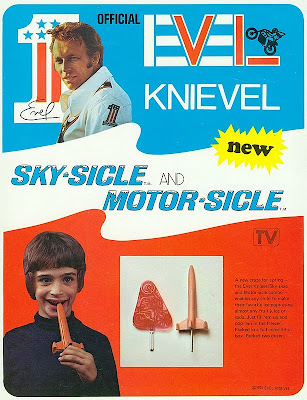 I think the kid may have had one too many sky-sicles, he's forgotten to take the plastic off before eating it. I like the type treatment on EVEL with the bike.